This slow cooker recipe is courtesy of my mom. When she told me how to do it, I did not believe her. But since mom knows best I did it exactly how she told me and it turned out fantastic. And yes, it really has only 2 components. There really are only 2 things you need for this chicken - a whole chicken and spices. I could say 2 ingredients, but one component (the spices) could be made up of several ingredients. 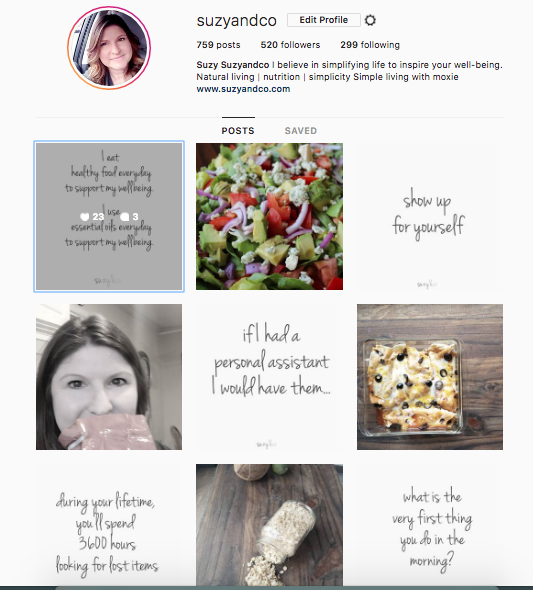 I am really trying to use the term ingredients to talk about individual items. Like my 10 ingredients or less real food board. So on to the simple recipe. In case you are wondering, no you don't need any liquid. I promise. 1. Rub spice mix over entire chicken. 2. 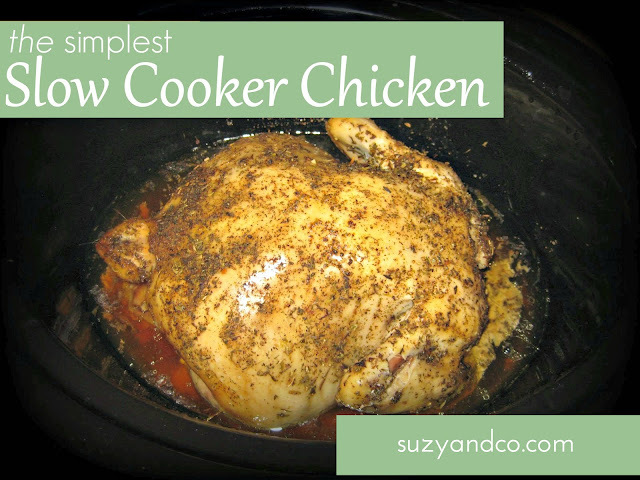 Place chicken in the slow cooker - breast side down*. 3. Cook for 6-8 hours on high. *You don't have to do breast side down, but it really is so much better. The breast tends to be the driest part of the chicken. By cooking the chicken upside down, the breast gets cooked in the juices and does not dry out. I have even roasted chickens in the oven upside down for this same reason.